Geodesy (Iji Ala/Iji Ana/Iji Ani) is one of the ancient sacred sciences which the Igbo people demonstrated a great mastery of. They knew, expounded and extensively practiced this spiritual science of bringing celestial harmony down to Earth (Anakwudo-ma-Enukwudo). In this light, Geodesy is a truly multi-dimensional science or what may be termed ”a meta-science” driven by high precision thinking, the manifestation of which is evinced in such notable cosmological engineering feats as the creation of geothermal pyramid powered human settlements, through the specific application of this sacred science in the form of “Ikwunite-Aba-Igwe” (lit. Raising the Crown of the Celestial Mound). 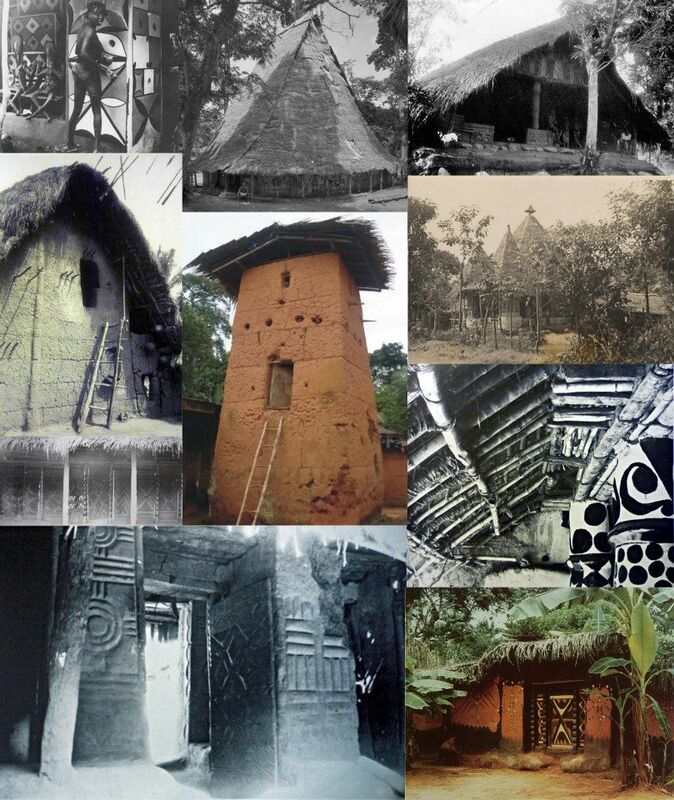 For the Igbo people of old and present, inhabited houses can be ensouled and rituals abound for ensouling houses before habitation, as well as for un-ensouling houses after the demise of their occupants. The same exists for environs. 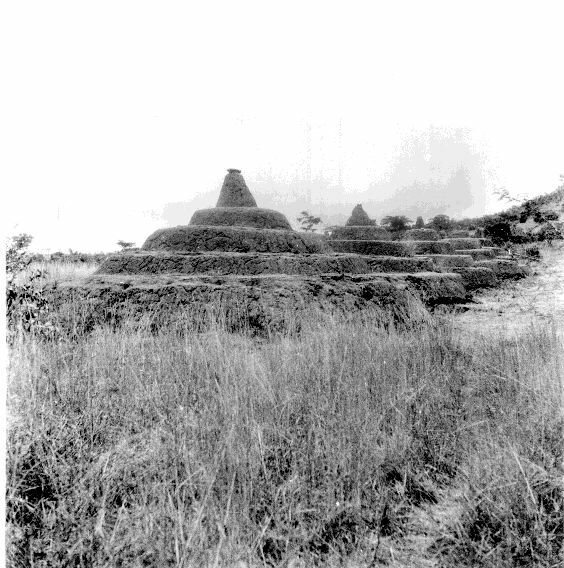 In ancient Igboland, the ritual-kings and specialists who had the specialty of performing these architectonic and engineering feats on the scale of the entire communal space were known as Eze Akum, Eze Okpoko, Eze Ana, Eze Mkpume, Eze Uzu, Eze Oba among other specialized titles. They were mostly technocrats and among their expected specialties were advanced mystic control of the elements. In fact, there is still an Igbo village group in Oba, Anambra state known as Umu Mkpume and their oral traditions narrate that their ancestors were unequaled geniuses at working with stone and other mineral elements. Likewise in Uzu Akoli, highly noted for its quality stones, minerals and stone masonry. A noted Igbo proverb in this right asserts that: okwute hiri ehi, too ato na uzu akoli, o zi mbunata lit. durable stones are in sufficient formations in Uzu Akoli, it is only a matter of carrying them to site. As we aware of today, in the cities and towns, peoples movements could be restricted, their livelihoods controlled, their thinking defined, their health status conditioned and their religion prescribed. In nature where there is freedom of movement and diversity of choices, one can hardly achieve the same result. The oxygen supply is purer and direct in nature, thus the process of natural growth and spiritual development is organic and difficult to impede in nature. This is in clear contrast with the human created city settlements which has as its central underlying ideology, the superiority and exclusivity of human nature over the rest of nature. This is an ideology that is as toxic as it is unfathomably limiting. Yet it is one that ironically presents human beings with a great opportunity to deepen their awareness and creative abilities by way of harmonious adaptation. One may observe that, the Igbo technocrats and ritual-specialists of old largely viewed their respective towns and cities as “architectural tools” for enacting social engineering and politico-religious cohesion. However, their greatest functions were in their metaphysical application; in the manipulation and control of space and time, human creative energy, natural resources, human privileges, conventional thinking and even the unseen prospects of an entire group of people. Today, on the other hand, the combined forces of nature, fate and history has interrupted many of these institutions and their archetypal ways of functioning, and for a purpose which the future generations will clearly grasp more than we ever may in our times. As for our present purposes today in Igboland, there is great need to revive the ancient practices of temple building for earth-energy balancing purposes (Iji Ala), not just for the typical purposes of social cohesion and judiciary. There is no doubting the fact that, given all the accumulated ills of the past ages in Igboland and the world at large, Ana Igbo is in need of full-fledged purification and re-consecration. This is in alignment with the spiritual foundational practices of the Uga Anwu age, which we are gearing up to fully emerge into. It is to be noted that in this age, individuals must come to the realization that all shrines, sacred groves, temples, churches, religious enclaves etc. are not otherworldly places where “gods and goddesses” manifest or even mere particularized places of public worship. This is the root of religious exploitation. Instead, it should be understood that these sacred natural locales or consecrated spaces are simply places of pure spiritual energy, where the members of community frequently visit to revitalize and purify their devotional passions (Isa Ajasinobi), realign and refocus their minds (Ichikota-Uche-na-Mmuo) and replenish their soul force (Idu-Ikenga–Chi/Inye-Ikenga-Nni). Speaking of the needs of this present age, it should be borne in mind that generally in Odinala and Igbo cosmology, the world is understood to go through cycles, much like the noted fertility seasons of nature. Of these, there are four Great Cycles which birth Four Unique Worlds, namely: Uga Aka, Uga Chi, Uga Anwu and Uga Azi in that other of succession. The cycles are known to succeed each other with catastrophic, consciousness expanding events. There are ascending cycles (Uje Uga) and descending cycles (Una Uga). At the culmination of each full cosmic cycle (Mgba Uga) made up of eight unique consciousness seasons, all the created life forms of Chineke achieve a holistic evolutionary leap, known as Opupu Mmuo/Ipu Mmuo. 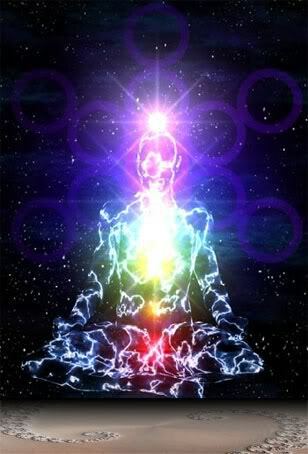 While, the now receded Mgba Uga is regarded as Uga-Nala-Ana (One Full Completed Cosmic Cycle) and its accumulated knowledge and wisdom will henceforth only be accessible via the intuitive portals of cosmic consciousness. The next Opupu-Ije-Mmuo or Uga Uwa cycle thus begins from either an ascending or descending point, with a matching influx of varying incarnate spirits. We are currently experiencing an ascending cycle which hints the immense possibilities predisposed to us and which are languishing under our noses. 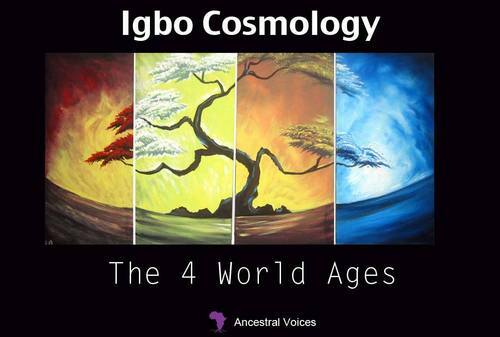 These four seasons of the world (Uga-Uwa-n’Ano) as with the primordial four Igbo circadian cycles of Eke-Orie-Afo-Nkwo (Izu/Izu Igbo) have come and gone for as long as creation has been. In this light, Uga Aka is the cosmic age known for non-duality, profound wisdom, pure spirit, pure consciousness, human omniscience, whole mastery of human potentials and the universal laws at the global level by human beings, which results in the achievement of immortality. The age which follows this is known as Uga Chi, and this age is characterized by the consciousness of duality, great influx of self-realized spirits, soul power, ingenious cultural creations, telepathy and the appearance of death, when people once again lose the privilege of immortality. Next is the Uga Anwu age, noted for the incarnation of cosmic-minded visionaries (Umu Anwu) who are acknowledged for their profound solar-intuition (i.e. versatility of mind) and deep original thinking. Uga Anwu is also the age of marked gifts of prophecy, technological feats and highly advanced understanding of energy and its interplay with consciousness throughout nature. It has also been observed that in this age, the urge to check harmful tendencies are bound to become a worldwide obsession. People become ecology-conscious all of a sudden and are drawn to lifestyles, practices and philosophies that encourage this concern. Last of these four is the age of Uga Azi, identified with pessimism, mindlessness, crass ignorance, wanton destruction and desecration of natural harmony, very low consciousness level, superficiality, clear disregard of sacred knowledge and wisdom, unimaginable greed and conquest etc. In fact, in the age of Uga Azi, the world is literally upside down (descent of spiritual awareness). To be reincarnated into this world at this present time is an utmost desire of several spirits. For Uga Anwu is an age of the Mind. All who possess the Divine Mind of Light (Umu Agwu) will lead in this age as visionaries. As such, it is highly necessary that all human institutions and knowledge systems be dully revised with this profusion of higher minds amongst us, even as we are presently experiencing it technologically. It should thus be made clear, in this light, that the churches, mosques, temples, shrines, oracle groves, sanctuaries etc. of old and present are not divine, but merely sanctified spaces. It is the human being and nature that is divine. Religious doctrines, traditions and philosophies are not divine. It is the individual experience of their true spiritual principles that truly is divine. Accordingly, the ritual specialists, Priests and Priestesses who officiate in these sacred places are in truth and practicality, adept spiritual scientists who have been spiritually called and readied from birth by nature, to devote their whole being to the preservation and perpetuation of divine order for their respective communities. As such, the fundamental focus of the vast spiritual sciences, rites, rituals, ethicalities, local jurisprudence and allied functions which they administer on behalf of the community is to be understood as fundamentally ensuring the preservation of cosmic harmony (Udo), based on their divine eligibility (Chi), noted spiritual uprightness (Ogu) and ancestral appointment (Ofo). It is one of such appointed tasks that they accomplish through the rituals of Iji Ala.
Nze Izo Omenigbo (Chukwukadibia E. Nwafor) is an Igbo writer, philanthropist, Dibia and advocate of African knowledge systems and indigenous spiritualities. A life-long learner and advanced practitioner of Igbo medicine and sacred teachings, he is also a fully-investitured culture bearer and spiritual lineage holder (Eze-Aka-ji-Ofo-Odinala) of Ururo-Umunze descent. His dedicated strides towards the total awakening of Igbo contemporary humanity have propelled him to introduce and teach the first comprehensive cyber course on Igbo cosmology. His general publications on the intellectual and mystical traditions of the Igbo are widely read. Leopards of the Magical Dawn: Science and the Cosmological Foundations of Igbo Culture is his first book.